Sometimes our walk with God seems so difficult. We struggle to find the time to pray, the words to say, and the way to pray them. Are we making prayer more complicated than it needs to be? Charlie Dawes is a pastor and professor who understands both the desires and the challenges of deepening our prayer lives. He has identified simple, biblical prayers that will help you unlock the mystery of conversing with God by paring our words down to their most elemental level. By focusing our prayers, we can open up a new way of relating with God that we have never before experienced. 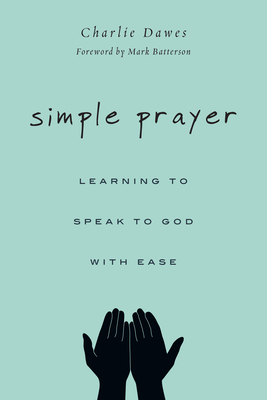 Simple prayer is far from simplistic. Instead, it will help you connect with God at a heart level that cannot be mastered with words alone.